Named after their Great Grandmothers, Grove (Lori’s family) and Evelyn (Taryn’s family) this business was born. Like Audrey Hepburn once said around the 1940s, “I believe in primping at leisure and wearing lipstick.” We know that our Greats would have believed that, too. The Greats! 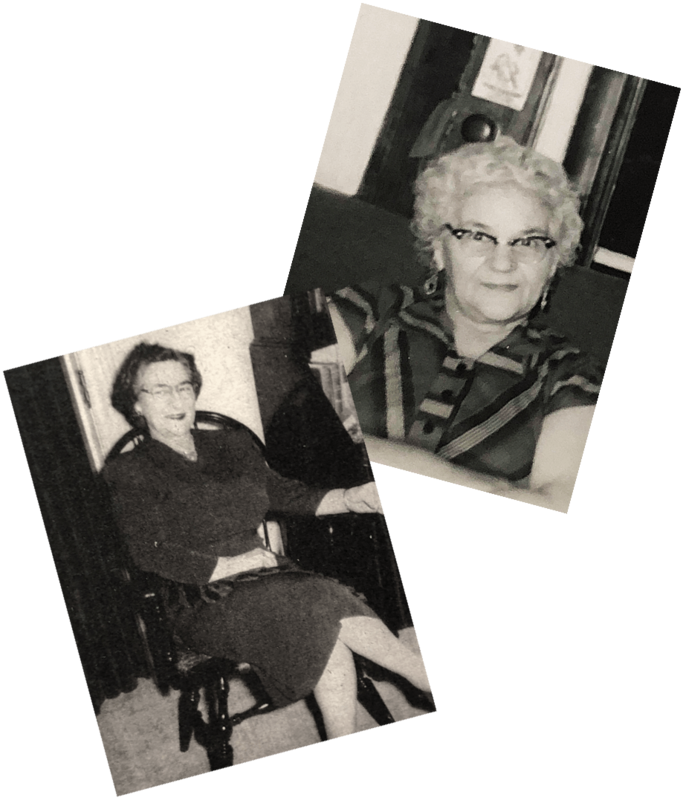 Great Grandmother Grove (top) & Great Grandmother Evelyn (below).